Video. Photographer Paul Nicklen shares his experience photographing a bowhead whale and explains what makes this whale so special. 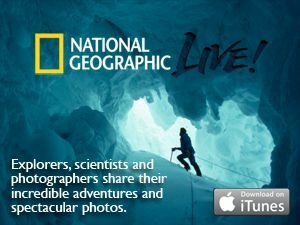 This video was filmed on November 15, 2012 as part of the National Geographic Live! Lecture series at National Geographic Society headquarters in Washington, D.C. Photographer Paul Nicklen uses his camera to reveal the nature of a world melting away under human-induced global warming. "I call myself an interpreter and a translator," says Nicklen. "I translate what the scientists are telling me. If we lose ice, we stand to lose an entire ecosystem. I hope we can realize through my photography how interconnected these species are to ice. It just takes one image to get someone's attention." Whether he is ice diving among leopard seals in Antarctica, covering hundreds of miles of terrain in minus 40°F temperatures, or mastering aerial shots from his ultralight plane, Paul Nicklen has specialized in photographing polar regions since 1995.